On Saturday, September 29th, friends of Rosalie Bertell will gather at Bloor Street United Church, 300 Bloor Street West (Google Map) at 7.00 pm (St. George subway) to remember one of the most influential people of our time. 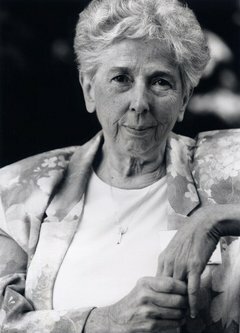 She was a Grey Nun, scientist,author, global citizen and inspiration to all who work for a healthy environment. Rosalie defied the entrenched interests to oppose everything nuclear from the Marshall Islands to the disasters in Japan. Her opposition to nuclear power as the source of radioactive contamination and nuclear weapons was a constant theme. If possible, please attend this memorial event and share your stories! In the meantime you can visit the Online Tribute Page set up by her colleagues. R.I.P. Rosalie. You’ll be greatly missed.